May is one of those months that seems to be simply wild. 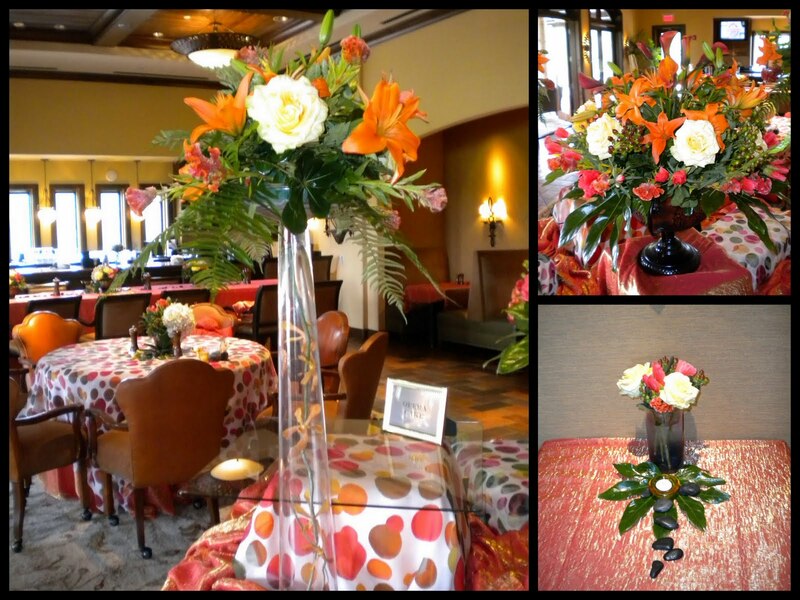 We love it here; from the weddings to the graduation parties, prom and Mother's Day we stay hoppin'! 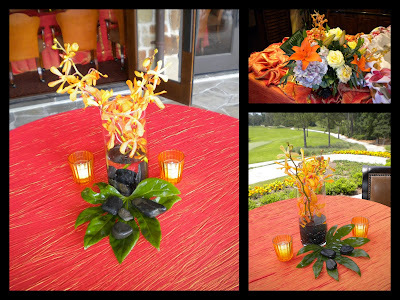 The picture above are a few styles of arrangements that we used in The Grand Ballroom at The Woodlands Resort and Conference Center. Due to the tall ceiling and shear magnitude of the room we like to use a few different styles of centerpieces to add interest to the tables. 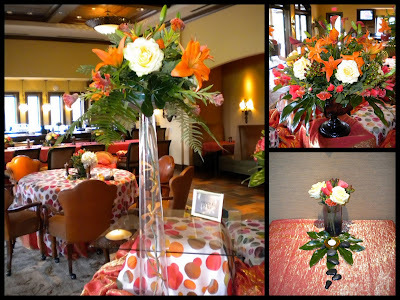 Here we incorporated all her colors by color blocking each style of arrangement. 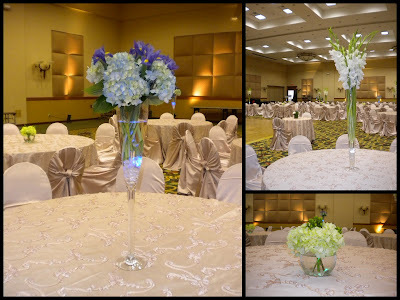 With low arrangements filled with green hydrangea and hypericum, the middle sized arrangements with blue hydrangea and iris and the tall arrangements with all white gladiolas. May is also fun because it is one of the few months where the weather is simply beautiful, so every color scheme tends to look amazing. This was a fun party with vibrant oranges and corals with a tropical feel. 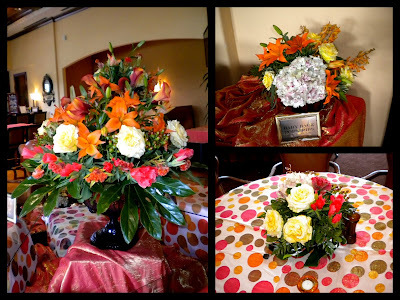 These fun arrangements reminded me of peaches and cream. We loved the polka dot table cloths, they really made the flowers stand out. We have been getting a beautiful rose in lately called finesse. It's like a cross between a traditional garden rose and a david austin rose. It's frilly and comes is yellow, peach pink and green. It is one of my favorite roses. It's always fun to play with new varieties.